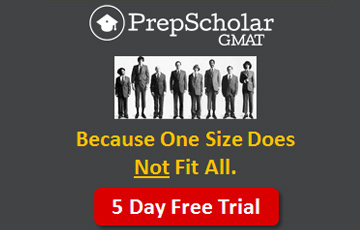 Finally, my GMAT Odyssey is complete. 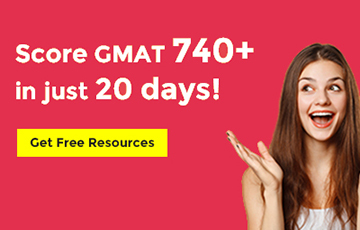 Achieving my score goal took a fair amount of preparation, and it seems that in the end my scoring 800 on the GMAT was greatly facilitated by the use of some methods that I have used to achieve other things. Here's what I did during this phase of my training for the GMAT to drive my score up and make sure I hit my goal. 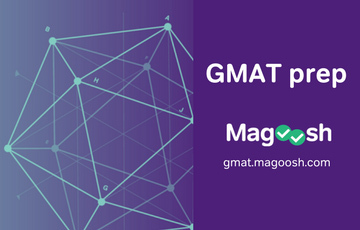 A few months ago when I took the GMAT, although at that time also I was shooting for scoring 800, maybe I was not quite ready and also I had some distractions the day of the test, and I ended up scoring 780 (Q49 V50). I wrote this post about how I prepped for that test. I still wanted to score 800. So I kept working toward that. 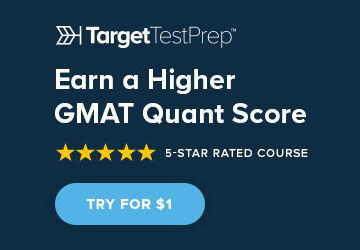 I was pretty sure that in order to achieve an 800 GMAT total score, I had to score 51 on quant. Since my official quant score was 49, basically I had two more quant section points to go. That might not seem like much, but those two points were not all that easy to come by. The main thing I did to raise my quant score was work some more on weaker areas, and the more I looked for areas to work on, the more I found. Among other resources, one cool thing I have used is the quant part of the BellCurves GMAT question bank. Their quant questions are broken down into many categories, each having dozens to hundreds of questions. 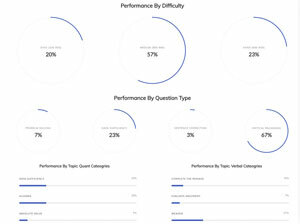 One interesting thing was the way my weaker areas matched up pretty well with the categories in which I hadn't done many practice questions. For instance I had done many statistics questions and I could generally rock questions of that type when they showed up, but I had done only a few overlapping sets questions and in taking the test I spent seven minutes on one of those. I would realize that I was not that good with, say, absolute value, and sure enough I would then see that I had almost ignored that category. Another thing I noticed was that a quant question type seeming easy or to be something I understood pretty well did not mean that I was ready to quickly get to answers to questions of that type. 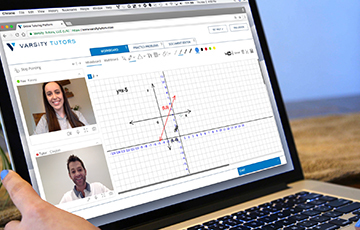 The GMAT is not a math test testing knowledge of concepts. 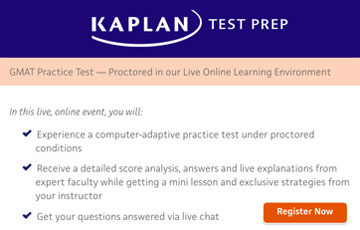 The GMAT tests skill in getting to answers. So in addition to learning about things I was not clear about, I had to work on getting good at handling questions that involved things I did understand but was not that great at working with. 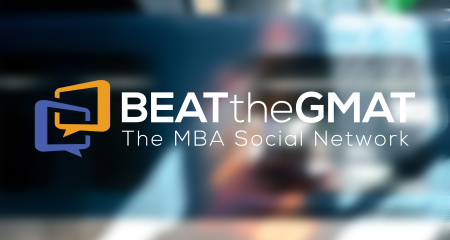 So I worked on covering the categories on which I had not previously worked much, and in addition to the BellCurves GMAT question bank I used some other resources, including the Beat the GMAT forums and CATs from Veritas and GMAT Club, to take my quant skills to a new level. I also wanted to lock in 51 on verbal, and the thing was even though I was getting 50 or 51 on verbal on most CATs I took, practice or real, at times I would get smoked by verbal questions and score less than 50 on the section. A verbal score lower than 50 would not get me to a total score of 800, and in a way I didn't even know what to do to make sure I would get all or close to all of the verbal questions right. Getting all of the critical reasoning and reading comprehension questions right seemed challenging but doable. 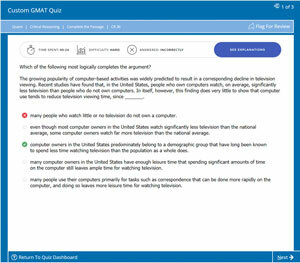 I realized that correctly answering GMAT critical reasoning and reading comprehension questions does not really require much GMAT specific knowledge. So I figured that if I were just a little more skilled and really careful and determined, I could get all of the CR and RC questions right. So I learned a little more about those types and practiced with care and determination in mind. Then there was sentence correction. Sentence correction seemed to involve a sea of rules and idioms and some of the questions are pretty tricky, and the thing that made sentence correction seem particularly challenging was that sometimes in a way the credited answers didn't even seem right. So getting them all or almost all right seemed like an impossible or at least rather impractical dream, but maybe some of Mitch Hunt's attitude rubbed off on me, and after a while I convinced myself that I could nail SC too. The truth was that there were certain things that consistently got me on sentence correction, things such as quantity words and certain idioms, and I figured that maybe if, along with doing some more general practicing, I could just get good with those dozen or so things, I would be ok.
With working on timing, doing practice problems from various sources, learning SC concepts and taking regular practice CATs, I was getting better and my scores were showing it, at least for the most part, as I scored 800 on two practice tests in a row, but then six days before my scheduled test I took a GMAT Prep practice test and scored Q50 V48 780. Not cool. I was still fighting to finish quant on time, and on verbal I had been tripped up by one sick SC question. Wow, just six days to go and scoring 800 did not seem like a sure thing. What was it going to take? I was pretty sure I had the answer. About twenty years ago I started learning about the powers of meditation and resolving inner conflict. Since then I have used these methods to make major changes in my life and in the lives of others. It's amazing how changing one's inner workings can dramatically affect the results one gets, and I figured the methods would work for this too. I started meditating to find and resolve conflicts I might have with scoring high on the GMAT and with things that are key to doing that. I meditated on speed, math, efficiency, accuracy, success, clarity of vision and anything else that I could come up with, and sure enough I found conflicts to resolve. For instance, when I meditated on the concept "Do it right the first time." I found that I had a really negative attitude toward it, and I meditated to change that. I also visualized myself taking the test and meditated to dissolve the tension that came with that image. I had read in someone's 800 score GMAT debrief about how when he had finished the test he had seen his score, 51, 51, 800, come up on the screen. So I continued doing something I had been doing for a while, getting myself used to the idea of seeing those scores on the screen when I finished, using an approach similar to people's visualizing outcomes before participating in athletic events. I meditated for hours day after day and the night before the test, and what happened on test day was freaky, even taking into account some more actual studying I did. I did the essay and IR sections, no big deal, and after the break got into quant. Now previously I had had to do something along the lines of running scared on quant, but one thing I had realized after meditating on efficiency was that errors in calculation were killing me on quant, both by getting me to wrong answers and by sucking up extra time even when I ended up getting right answers. So this time I was really being careful, even double checking my answers, basically doing some of the problems twice. I was checking the clock and, "Ok cool," it was nice to see that I was just a minute or two behind. Oddly though, the questions seemed relatively easy. I was cruising, and I noticed that even with all the care and double checking I was catching up with and then getting ahead of the clock. That happened even though the test center people were talking loudly enough to be heard through the glass and I had actually stopped to ask them to take the volume down a notch. The more questions I did, the further ahead of the clock I got. 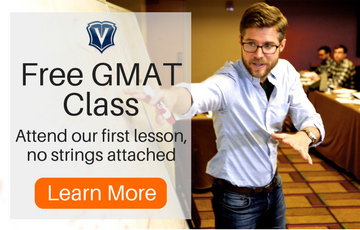 Sure, I had gotten stronger in some quant areas but the way things were going was so different from what I had experienced before that I actually looked closely at the screen to see if I were really taking the GMAT. It was surreal, and when I had about twenty-one minutes left with only seven quant questions to go and I knew that I had Q51 in the bag, I was pumped. It looked as if the meditation, along with the preparation I guess, had done the trick, bigtime. I took a slightly over time ten minute break, I usually finish verbal early anyway, and got to work on verbal. Verbal went pretty well. My main things for handling GMAT verbal are logic, care and determination, and I used them to the max and went more slowly than usual. Wasn't messing around. Other than my running a little tight on time, of all things, the only real hitch on verbal was the sentence correction question of doom. I found the sentence correction questions to be rather hackable, more so than were the ones on many of the practice tests I had taken. All the same, it seems that in any GMAT verbal section there is at least one sentence correction question that is long, convoluted or somehow basically bonkers, and this CAT was no exception. I got to this CAT's sentence correction question of doom and fought that thing for maybe four or five minutes. I finally clicked an answer choice and then somehow read the choices again and realized I had chosen the wrong one. I chose the right one and maybe that was the key moment in verbal. I kind of buzzed through much of the rest and barely finished in time. So my plan came together and while I guess most people don't really care to get so caught up in the GMAT, there are from my experience some takeaways that anyone can use. One of them is that there is always some improvement one can make to get a higher score. In my case, the more I looked the more I found areas of quant in which I could become more skilled. Also, sentence correction seemed at first to be an almost intractable issue, but I was able to come up with a reasonable, practical strategy for improving my SC skills and acing verbal. Being careful and very determined was also a huge factor, and was so key in getting right answers, including the one to the sentence correction question of doom. 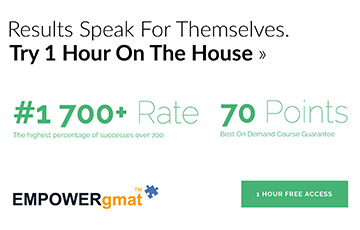 Finally, although maybe there is some other explanation for how easy quant seemed and for my perfect or close to perfect accuracy on verbal, my take is that the meditation sealed the deal and allowed my energy to flow and my mind to run like clockwork so that I could finally rock the GMAT the way I wanted to. Such an inspiring story about your devotion to get perfect score and you got it. Kudos. Its a big achievement. if you wish to share, I am keen to know more about your meditation practice? As you say, "meditated on speed, math, efficiency, accuracy, success, clarity of vision" - how do you exactly meditate on these individual topics? I meditate but never thought about it in this way. Congrats on your score. And thanks for writing this post. I've been toying with the idea of using meditation to help ease my test anxiety and this post shows that it can be helpful. We all have things going on semi consciously, unconsciously and subconsciously that affect what we are doing or how we are operating. When a person is walking, for instance, the person is without thinking about it applying ideas, conceptions and strategies developed via years of experience. This is great when the ideas, conceptions and strategies are right or truly effective. The thing is many of these unconscious things are not really in line with reality or are somehow self defeating. For instance a person may see things in life that the person wishes he or she had not seen. While one cannot really avoid reality by not seeing clearly, somewhere in his or her unconscious the person may decide that seeing things clearly is too painful, unpleasant or scary, or anyway somehow just not for the best. Ok, so now when taking the GMAT the person needs to see clearly what is going on in order to get right answers, only seeing clearly is struggle for the person because while on one level the person wants to see clearly, on another, without really realizing it, the person has been operating based on the idea that seeing clearly is a bad thing. So the person is unconsciously conflicted about doing what is most effective, in this case, seeing clearly. So, for instance, the person does a critical reasoning question and has a bizarre experience. He or she doesn't choose the right answer and looks back and is stunned to realize how easy the question actually is. "How did I miss that?" the person wonders. Well, if on some level one is choosing to not see clearly, that's what's going to happen. So when I am meditating, among other things, I am addressing unconsciously harbored ideas, conceptions and strategies that are affecting my performance in the way described above. When I say that I meditated on clarity of vision, for instance, what I mean is that I go into a meditative state to see what I really think and how I really feel about clarity of vision. Sure enough I generally find that while on the surface I SEEM to want to see clearly, below the surface I have ideas and strategies that involve my not seeing so clearly. Once I find them, I work with myself like a coach or on an energetic level to explore those issues and resolve the conflicts I have with seeing clearly. Having done that, suddenly I find things are different. When, for instance, I look at a data sufficiency question maybe things are utterly clear and I almost effortlessly see the right answer, whereas before when doing a similar question I might have struggled or somehow tricked myself into getting the wrong answer. One of the coolest examples of this process I experienced had to do with quant. When I was doing simple calculations I would get the easiest things wrong, like I would do maybe 26 x 2 and come up with 56. Doing that kind of thing can just make one miserable when one is doing the quant questions. Given the regularity with which I was doing that kind of thing, I suspected that I had something going on underneath the surface. So I meditated to see what was going on. Sure enough I found that my inner child found it absolutely hilarious when I did something like that and that I was doing it on purpose to make a point or rebel or to entertain myself. Even now I am feeling a little emotional discussing this topic, so I guess there is some deep seated reason for all this. So anyway, I kind of had a little inner conversation and meditated on what I had discovered about myself, and my accuracy went way up, and that's part of why I was able to burn through quant as I described in the post above. I did similar things with topics such as speed, doing things right the first time, and others, some of which I mentioned in the post. Each time via going into a meditative state I was able to find unconscious ideas and strategies that conflicted with my conscious desires and aims, and via resolving those conflicts I was able to make things much more effortless. Wow the resistance I found to things like doing things right the first time and finding efficient ways to get things done, and I even had to convince myself that getting many questions right in a row is even possible. Another way to look at it is that via meditating on a topic such as speed I set myself up energetically to get things done faster. I just become a speedier being. So that's much of what I was talking about when I said that I meditated on those topics. I am not sure whether that all sounds doable or complex or freaky, but if you don't feel like taking it to the level I described, I bet you could get some effects by just considering topics without getting very sophisticated about it. For instance, if you want to be more accurate, you could just sit with the idea of being accurate all the time and consider it some and I bet you would experience an increase in accuracy. That being said, don't let me discourage you from really learning about this stuff. It can be amazingly effective and life changing, and resolution of conflict is basically the solution to all of life's problems. Phenomenal! and gratitude for writing so extensively and clearly. Great thoughts for many of us needing to resolve certain anxieties. Wow, I just found an article that kind of hammers the meditation point home. It says that meditation actually grows areas of the brain involved in the following. It also says this cool thing. "The amygdala, the fight or flight part of the brain which is important for anxiety, fear and stress in general. That area got smaller in the group that went through the mindfulness-based stress reduction program. The change in the amygdala was also correlated to a reduction in stress levels." 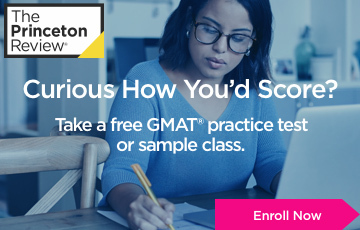 Sounds as if meditation is indeed a great thing to do to increase one's GMAT score. Absolutely brilliant Marty. My hearty congratulations and a big bow! Very interesting article. Thanks for sharing this. Many of us would find useful. That article should be mandatory reading. Thanks for the post, Marty! Incredible! 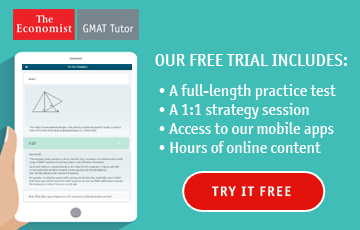 I am just starting the GMAT process and am already caught up in books, strategies, and planning my GMAT journey. I really enjoyed your perspective and it will change how I approach my preparation. Bravo! Thanks a ton for the detailed brief. It will benefit many. Congrats for the score and Hats off !!! If you want more insight into how I prepared, you could check out this piece by Pei Wen Chou. The uniformity of your score is otherworldly! You had your pick with an 800! Hopefully the rest of your profile was great too. Where did you go to school? I'm just a GMAT freak. In all seriousness, I never did go to b-school. Did brokerage, trading and asset management, and did CFA along the way. Now I am post hedge fund, post all of that scene for the most part, and the whole GMAT thing is a nice game that in multiple ways fits in well with what I have going on at this point.